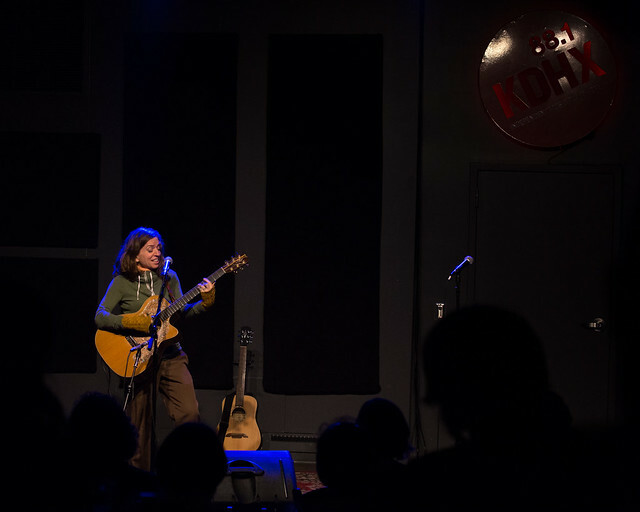 The Stage at KDHX was honored to host a live broadcast recording of the legendary singer/songwriter/poet Ani DiFranco on June 9, 2018. In town on tour in support of her latest album, "Binary," DiFranco recorded a short performance and interview segment which was later re-aired for broadcast on The Future Is Now with Chris Sanley. The session was viewed by a small group of KDHX Sound Investors who got a special behind-the-scenes look at the production work of a live recording session. Be sure to check out the full set of photos by Monica Mileur.